4.3 firmware update htc one Canadian HTC Ones getting 4.3 now! 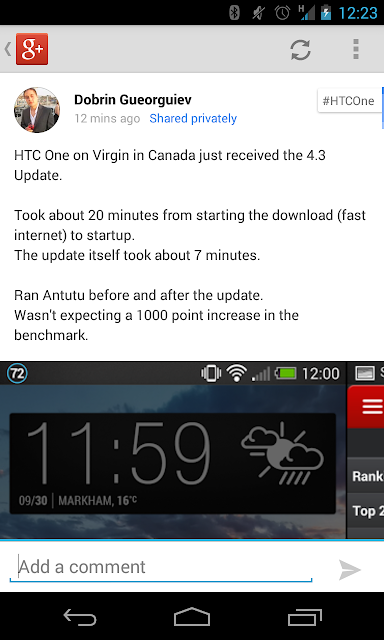 Canadian HTC Ones getting 4.3 now! 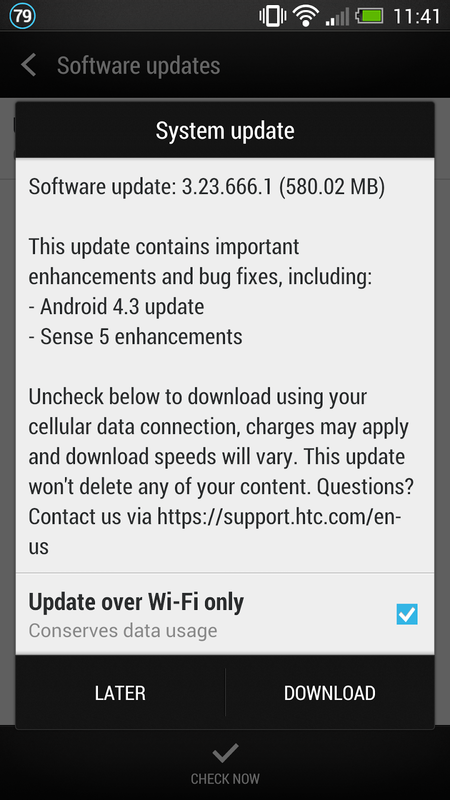 Looks like the update is rolling out now. Now Dobrin is on Virgin, so your mileage might vary. Remember the tip to trying to get your phone to move to the front of the download queue.